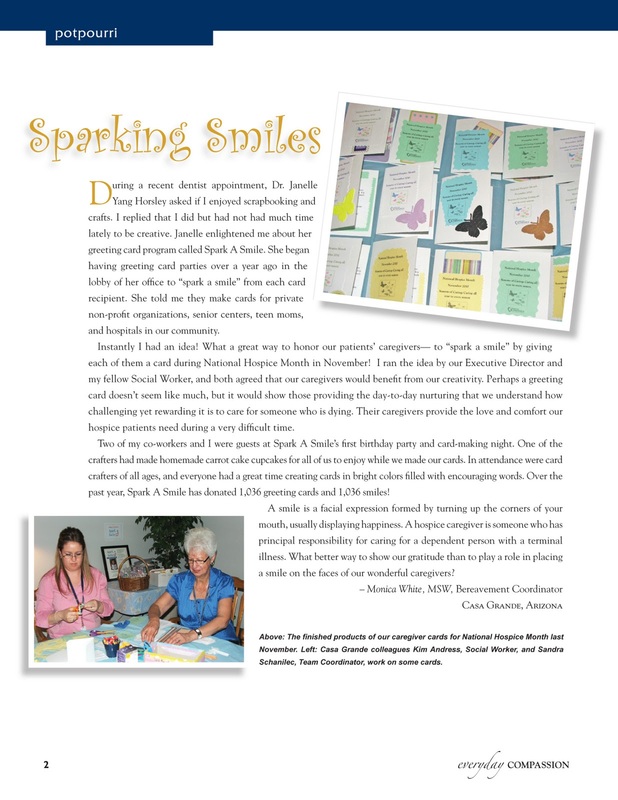 Thanks to one of our sweet patients, Monica White, Spark a Smile was featured in the Hospice Compassus magazine, Everyday Compassion!!! 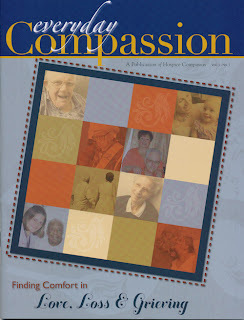 This magazine goes nationwide to caregivers and others involved with the hospice-care providers. What an honor it is to be recognized, and even more of an honor to know that we’ve helped bring joy to people who have dedicated their lives to caring for other people. 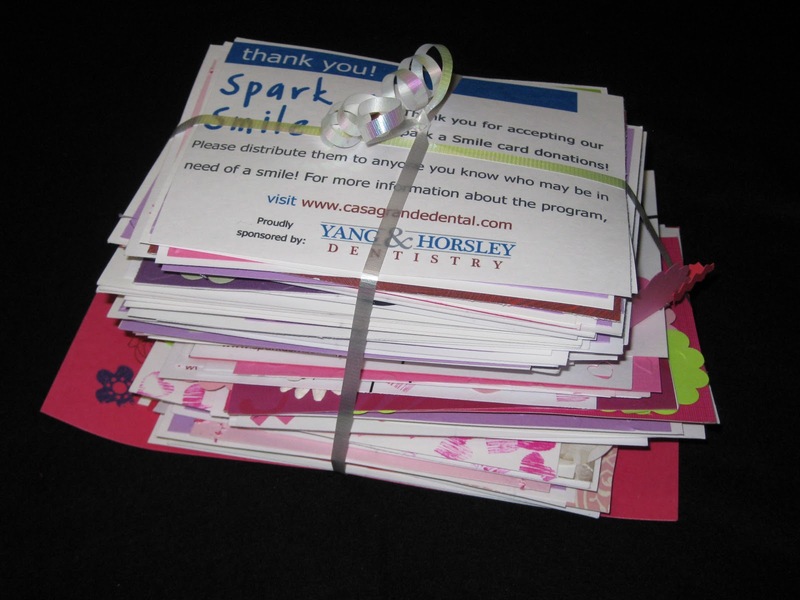 “During a recent dentist appointment, Dr. Janelle Yang Horsley asked if I enjoyed scrapbooking and crafts. I replied that I did but had not had much time lately to be creative. Janelle enlightened me about her greeting card program called Spark a Smile. She began having greeting card parties over a year ago in the lobby of her office to “spark a smile” from each card recipient. She told me they make cards for private non-profit organizations, senior centers, teen moms, and hospitals in our community. Instantly I had an idea! 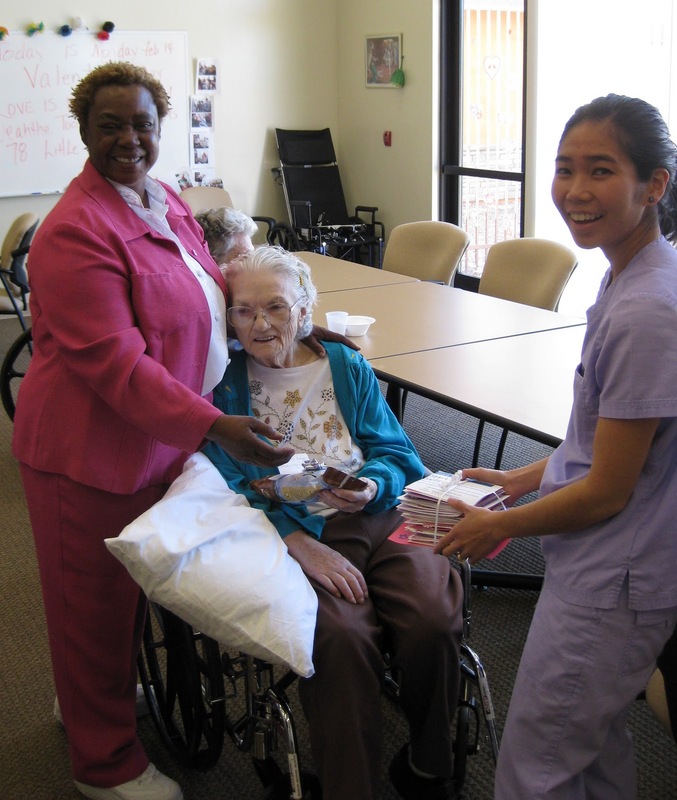 What a great way to honor our patients’ caregivers – to “spark a smile” by giving each of them a card during National Hospice Month in November! I ran the idea by our Executive Director and my fellow Social Worker, and both agreed that our caregivers would benefit from our creativity. Perhaps a greeting card doesn’t seem like much, but it would show those providing the day-to-day nurturing that we understand how challenging yet rewarding it is to care for someone who is dying. Their caregivers provide the love and comfort our hospice patients need during a very difficult time. 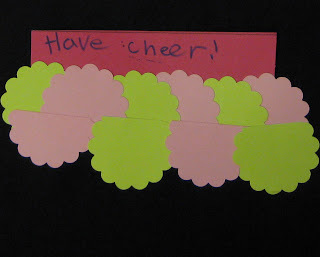 Two of my co-workers and I were guests at Spark a Smile’s first birthday party and card-making night. One of the crafters had made homemade carrot cake cupcakes for all of us to enjoy while we made our cards. In attendance were card crafters of all ages, and everyone had a great time creating cards in bright colors filled with encouraging words. 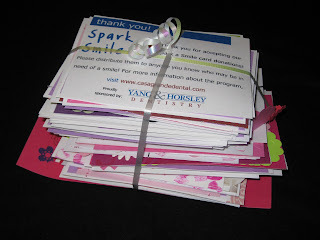 Over the past year, Spark a Smile has donated 1,036 greeting cards and 1,036 smiles! Join us on Wednesday, April 6th, at Hospice Compassus (1675 E. Monument Plaza Circle, Casa Grande. 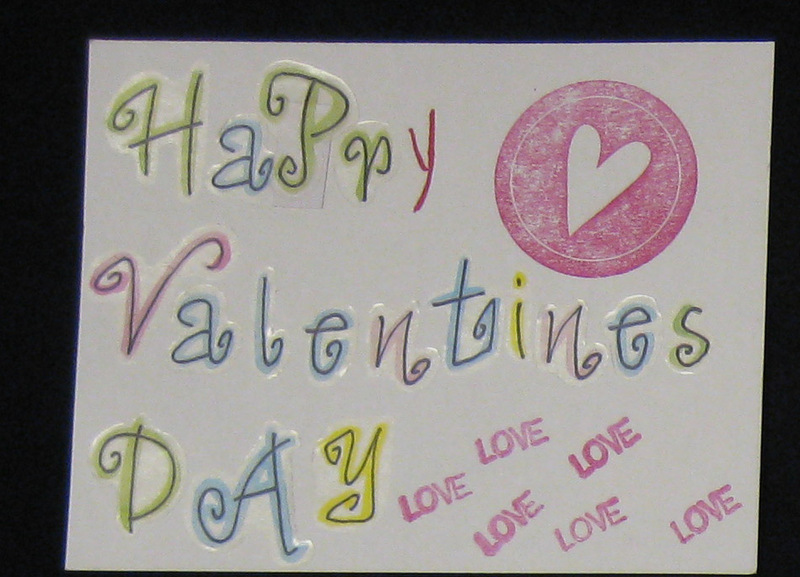 Near Arizola Road and Florence Blvd) from 5-7PM to create more cards for the hospice patients and caregivers! Our February Spark a Smile was hosted at the Home of Hope, a faith-based rehabilitation center for women with drug and alcohol addictions. They were so gracious and welcoming… they even served us dinner! We had a great turn-out, with four brand-new faces! 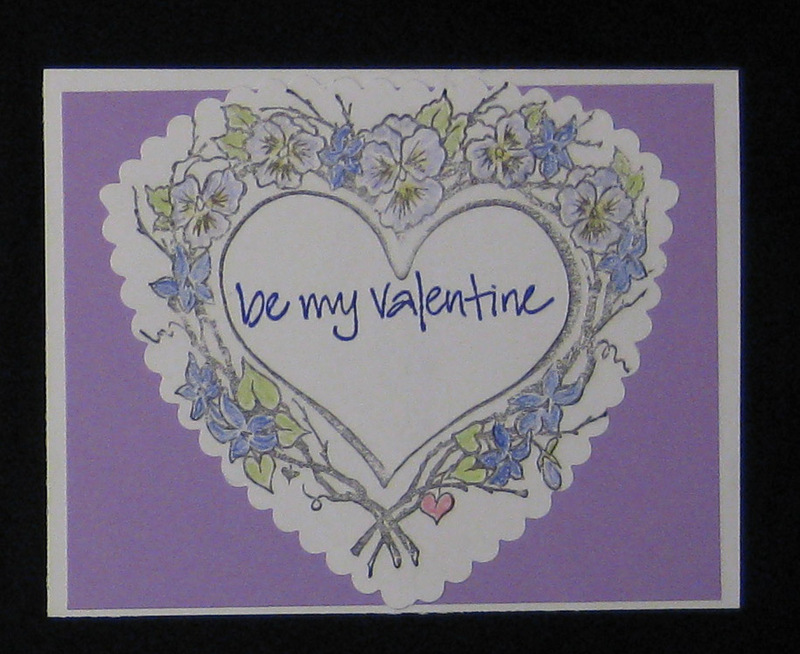 Marlene brought pre-cut/pre-embossed pieces to create these cute Valentines. Even with the same materials, they all turn out so different! Of course, some people skipped the pre-packaged pieces to craft their own creations! 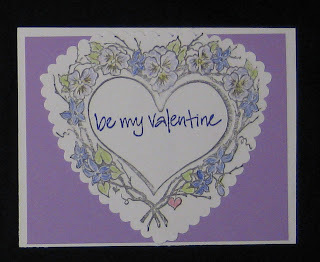 Marlene’s mom came to visit from Oregon and stamped this pretty heart and hand-colored the image! 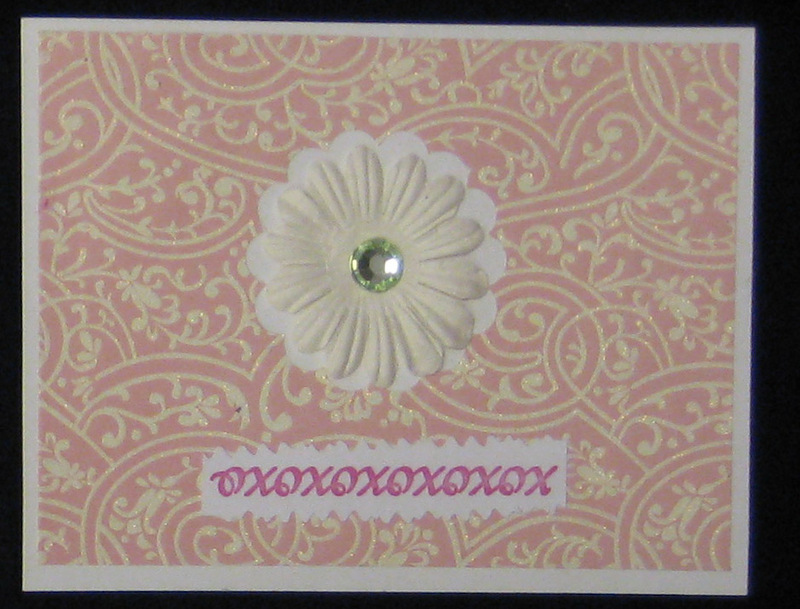 Young Talissa created this clever scalloped card! 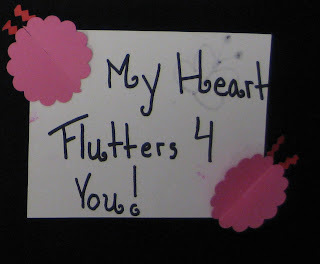 Her big sister Tiana hand-made some fluttery creatures. It was Desiree’s first visit to Spark a Smile, but that didn’t stop her at all! 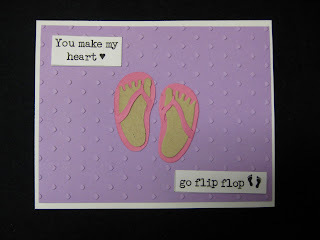 She created a whole stack of gorgeous cards! 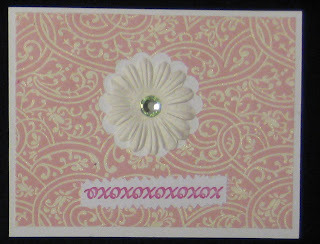 Another new face, Janet, couldn’t bear to cover up the pretty pink glitter paper, so she simply punched a scallop and added a flower and a small XOXOXO! Love it. 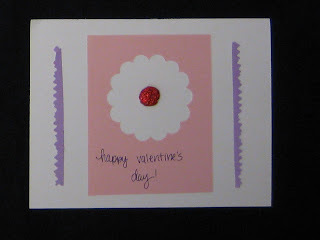 Always on the lookout for recyclable items to add to my cards, I flattened a Hershey’s Kiss wrapper and made it into a brad for the center of my flower! There were so many great cards, it was hard to pick just a few to feature… so check here for the rest! …and hand-delivered them to Oasis Pavilion, an out-of-home rehabilitation center here in Casa Grande! 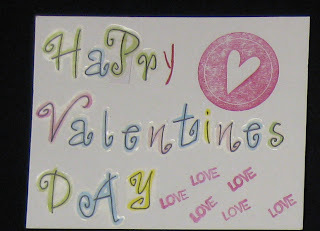 They were so grateful to receive such nice cards to distribute on Valentine’s Day. 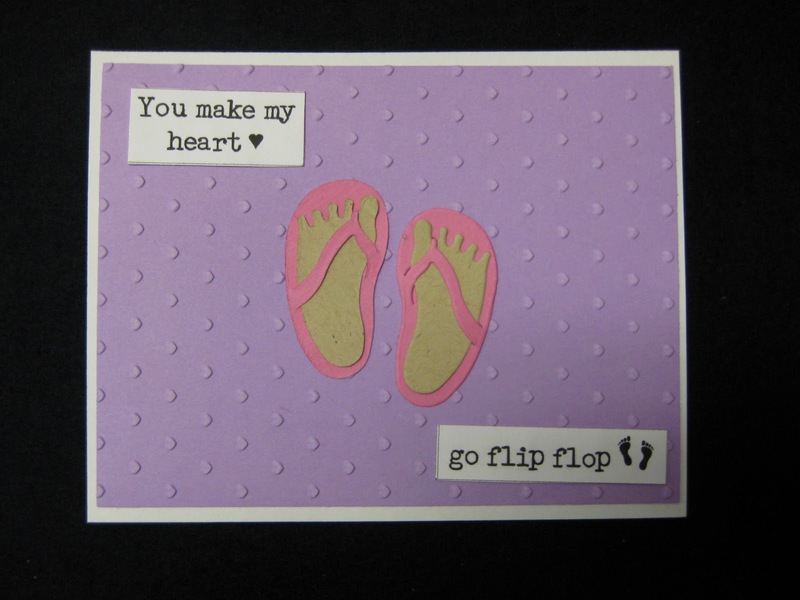 Please join us this Wednesday, March 9th, at Yang and Horsley Dentistry, to craft your own cards! 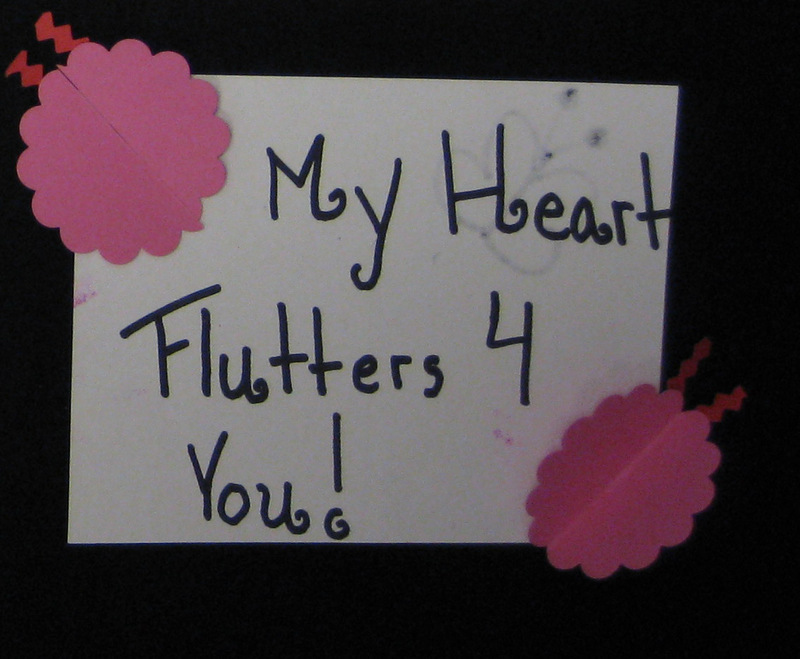 We’ll be making cards for the kids at the Pediatric department at the hospital. Our theme this month is April Fools’ (early) so bring your best jokes and funny sayings to help create some laughter!